Samsung has announced their latest Exynos processor, the Exynos 5250, which is Samsung’s first dual core processor clocked at 2GHz, and the chip is based on ARM’s Cortex A15 architecture, which is reported to be 40 percent faster than the current Cortex A9. The Samsung Exynos 5250 will support stereoscopic 3D displays and also displays with a WQXGA resolution which is 2560 x 1600 pixels, so we can expect to see this new processor in some tablets from Samsung. 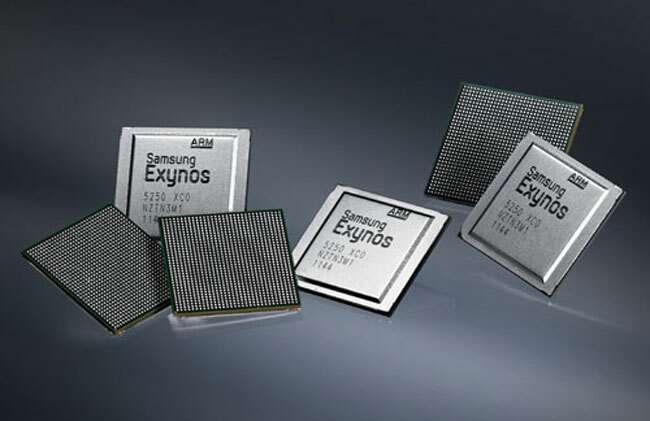 Samsung has said that they will put the Exynos 5250 into production in quarter two of 2012, so we can expect to see new devices powered by this 2GHz dual core processor some time next year.